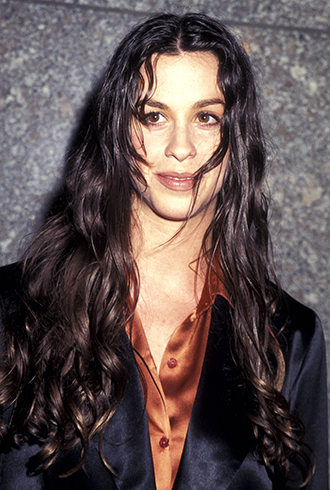 When "Jagged Little Pill" was released in 1995, people from the record company would call radio stations and say, "Would you be willing to play 'You Oughta Know'?" Before a certain time, the response was, "We're already playing two female artists. We're playing Tori Amos and Sinead O'Connor, so we have plenty of females. We're good." There was a quota for a very small amount of female artists. With "Jagged Little Pill," the business aspect of things made it evident that there was money to be made with female artists. The industry shifted around that era. And I don't take credit for singularly changing the industry, but I do feel that I was riding the crest of the wave. So the idea became, crassly, that women were bankable. That was lovely, but it's unfortunate that the idea of women's music being relevant came from the Almighty Dollar. There were millions of women before, during and after me that created some unbelievable art. It became a financially viable undertaking. So, I was happy to be part of that. In terms of how it's changed in the past couple of decades, my general sense is that the culture of North America and the West is wildly sexually traumatized. There's this erroneous message that women's power lies singularly in our sexuality. It would be easy then to think, falsely, that the main aspect of our power is our sexuality and the ornamental aspect of our physicality. What often winds up happening is that, as women, we're in a context of patriarchy (whether in the music industry or otherwise), and we understandably want to find a sense of empowerment within it. The natural easy go-to is to hypersexualize ourselves to get instant power. However, it's one percent of what we have within us as women, in terms of contributing to society and to the world and to art. So it's a sad state of affairs when we rely solely on this one-dimensionalized aspect of ourselves. And it feels extreme. And it feels incomplete, and it's unfortunate that this is what we rely on — our aesthetic. We live in a culture where our three top priorities in terms of value system are: looking twenty forever, being a billionaire (it used to be hip to be millionaire and now it seems it’s hip to be a billionaire) and being famous. And these three value systems have superseded everything, as I see it. And that's at the cost of relationships, at the cost of connectivity, at the cost of feeling, at the cost of community, evolution, servicefulness, at the cost of inclusivity, at the cost of connection with God. The only real priorities are those three priorities and everything else is a distant fourth, fifth, sixth and seventh. These days more than ever, in the music industry, the pressure is on how we look and how sexual we appear. And then it's how famous we are. All external and presentational and a moving target. It’s a dangerous era we find ourselves in as artists… where our personal worth and “relevance”—as one manager called it—is measured by these standards.